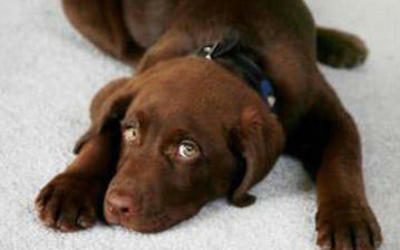 So many of us find ourselves wishing our tile floors looked like new again. Remember the beautiful color of the grout? But dirt, grease, soap scum, and oils have had nothing but time to soak into your grout turning it darker and darker in color. Grout can be very tricky to clean because it is porous allowing tiny particles to absorb into your floors. Also, quickly sweeping your tiled surfaces can either cause more particles to become absorbed in your floors or can cause you to miss spots because the grout lines are deeper than the tiled surface. Though it may not be a breeze to keep your new tiled surfaces and grout from becoming dingy over time, there a few household tricks that may help in the long run. The first and most important thing to remember is that prevention is essential! Preventing your tiles from becoming dirty and dingy over time is much easier than trying to fix it. 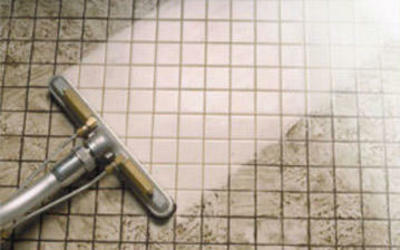 You can use a grout sealer about 2 weeks after the grout is installed which helps keep your floors looking its best. Regular cleaning will work wonders, as well. 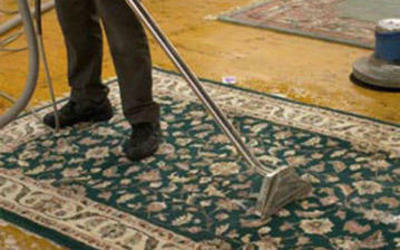 Vacuuming, rather than sweeping is best for your floors so that you are not just spreading the dirt around your floor, but rather removing it. If you are trying to reverse the effects of time on your tile surfaces, consider calling a professional carpet and tile cleaning company. 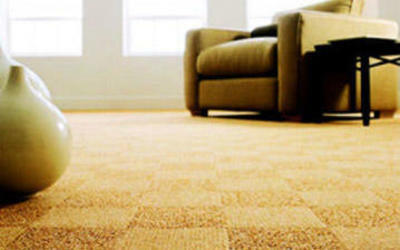 Many carpet cleaning companies, like Chad’s Carpet Care in Pearland offer tile and grout cleaning services that are more effective than traditional cleaning methods. A combination of high pressure and hot steam will remove the stubborn buildup in your grout. But remember ask the company to come back the next day and apply a grout sealant to prevent the dirt from building up again. You can take years off of your tile and grout and make your surfaces look like new again with these easy tips and tricks to maintain a clean floor. Just remember, prevention is essential!